If you are a machinists, artists or a gardener, you need this premium tool aprons on every day working. 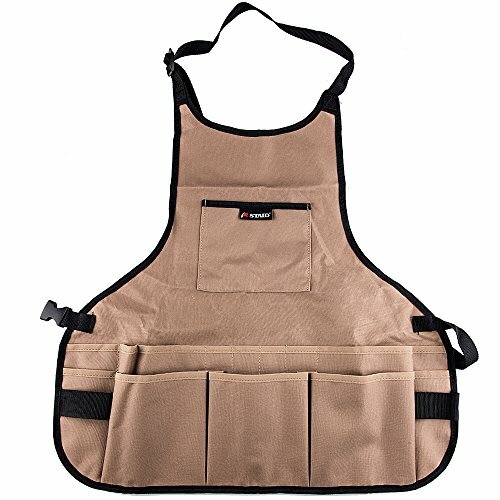 This multiple pockets tool apron is great for carrying your varied tools easily. Made of the ployester oxford fabric 600D, very durable and heavy duty. Include a top pocket and 13 pocket on waist, neck size and waist size is adjustable. Perfect for mechanics, machinists, artists, chefs, tattoo, barbers, bartenders, gardener and more. Its made an idea present for father, brother, husband too. Made of 600D ployester oxford fabric, heavy duty and durable. Include a top pocket and 13 pocket on waist. Multiple pockets for ease in carrying your varied tools. Neck size and waist size is adjustable. Perfect for mechanics, machinists, artists, chefs, tattoo, barbers, bartenders, gardener and more. If you have any questions about this product by Tebery, contact us by completing and submitting the form below. If you are looking for a specif part number, please include it with your message.